Living A Whole Life: Happy Earth Day! 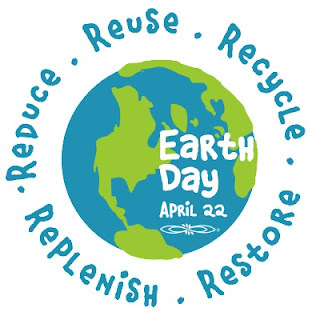 Just a few random Earth Day tidbits I have run across this week...thought I would pass them along. Walmart is encouraging people to submit their eco-friendly ideas and/or vote for the ones you like. Check it out. You may come across something you had never thought of before. One of my favorites is using your own travel coffee mug when you go to your favorite coffee shop instead of using their paper cups. Marcal Small Steps is a company that uses recycled materials to make paper towel, saving millions of trees in the process. If your local grocery store doesn't carry Marcal, ask them to! What are you doing to make your life a little greener?